Bathrooms get filled with moisture, mould and limestone and require detailed and regular sanitising to be in good state. We can ensure the hygienic condition of your bathroom and toilet by applying the necessary procedures for washing and cleansing all surfaces. Our employees are qualified, trained and use top-quality preparations, cleaning solutions and equipment. They can carry out pressure washing on the tiles to remove stubborn grime and stains. Contact us at a convenient time to schedule your bathroom cleaning implemented by our staff in the Notting Hill W11 region seven days per week. Our staff will remove the rubbish from the bins, disinfect them, sanitise all appliances and pieces of furniture in the bathroom. They use highly effective preparations and solvents that completely remove lime-scale, mould, stains and dirt without damaging the surfaces. We guarantee the excellent quality of our work and professional results from it. Whenever you need one-off or regular cleansing of the bathroom and toilet in your home, property for rent, hotel, bed and breakfast estate, call us. Our cleaning personnel will sanitise the tiles, chrome surfaces, worktops, showers and sinks. We provide full disinfection of toilet bowls, washing of internal window glasses, ledges and frames. 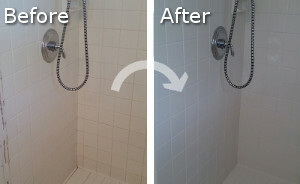 Our bathroom cleaning can be booked by the residents that live in Notting Hill any day of the week. Instead of spending too much time in tiresome and exhausting cleaning of the bathroom and toilet, you can leave this work to our professional employees. They will implement it faster and with better results. 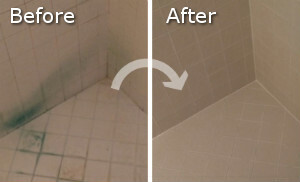 Contact us to book the bathroom cleaning provided by our company throughout W11 and the results will be impeccable. Our call centre is at your disposal during all days of the week for more information and help.